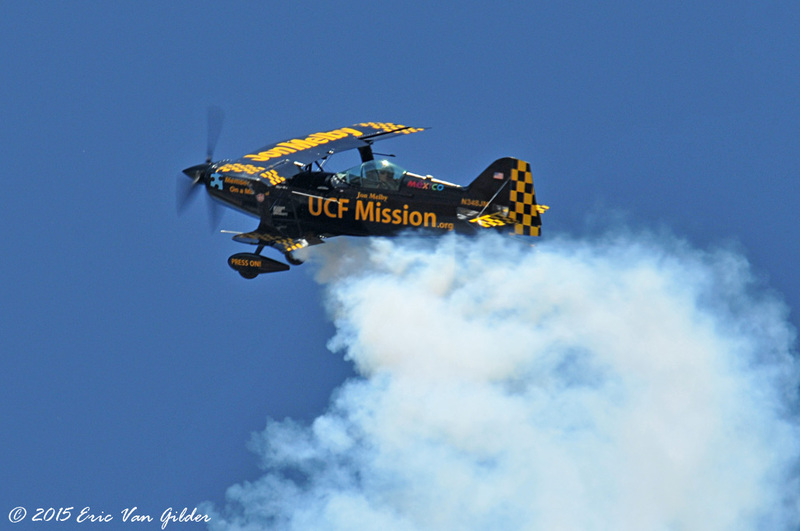 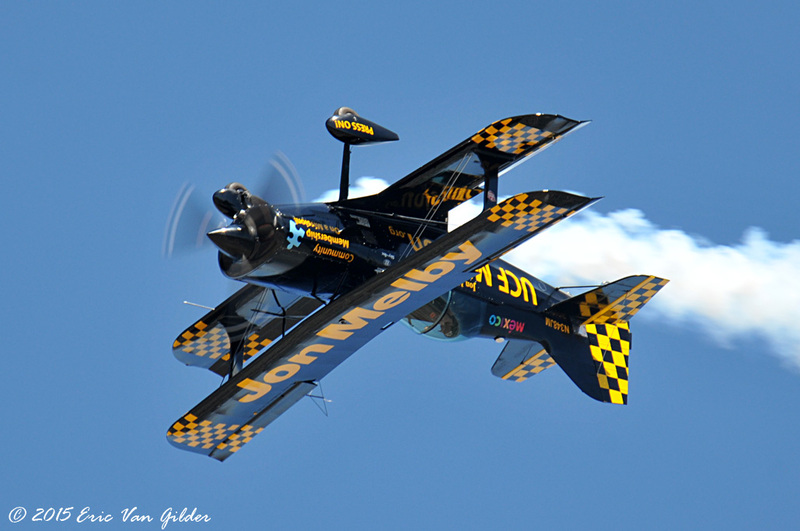 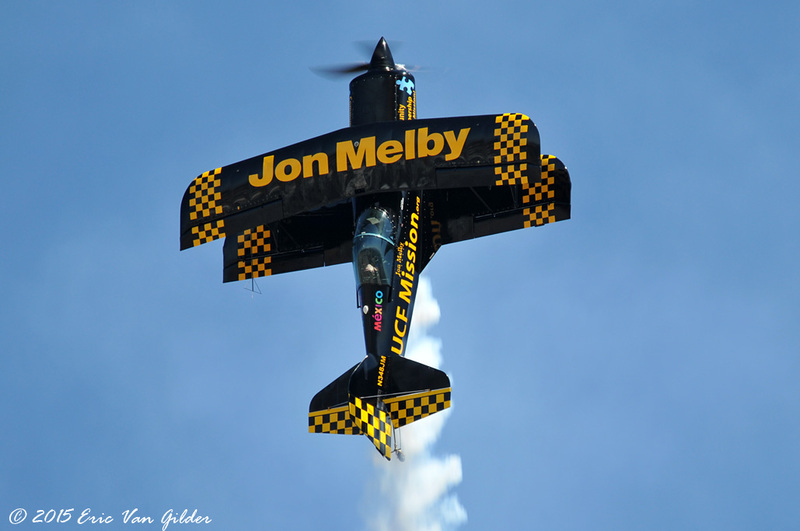 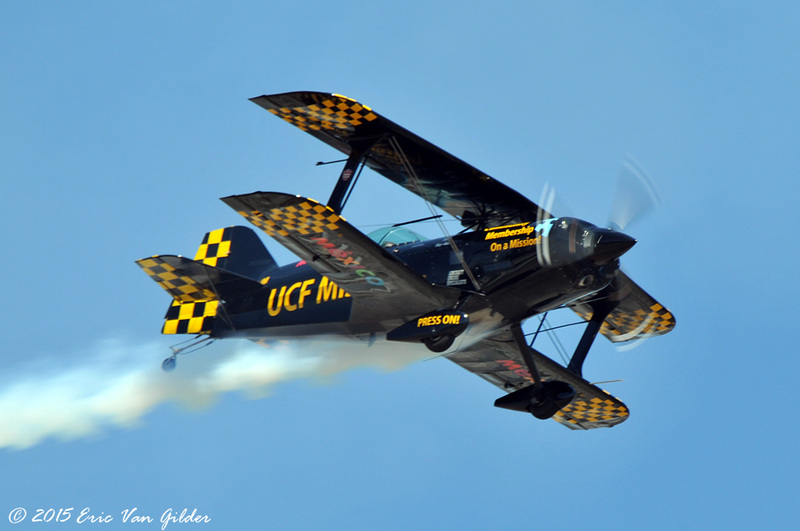 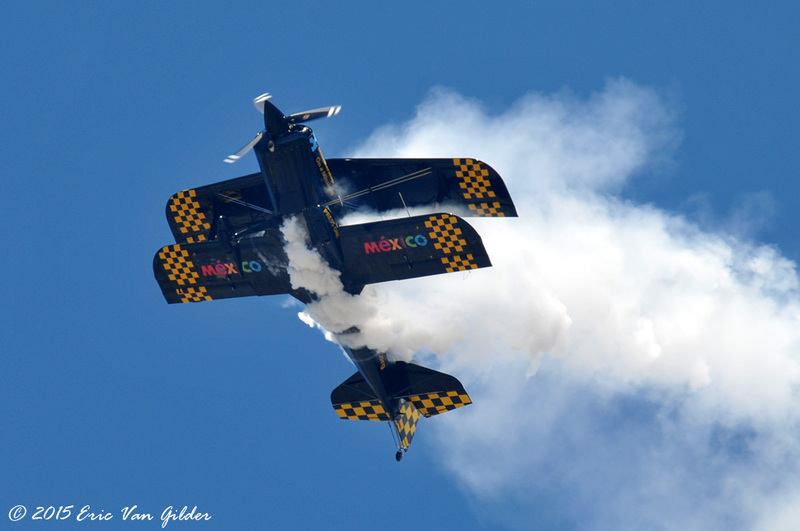 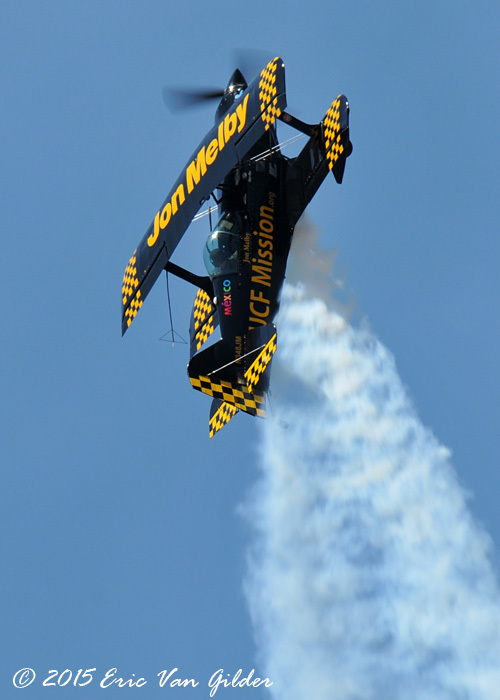 Jon Melby has over 3,000 hours doing aerobatics and has been flying for 30 years. 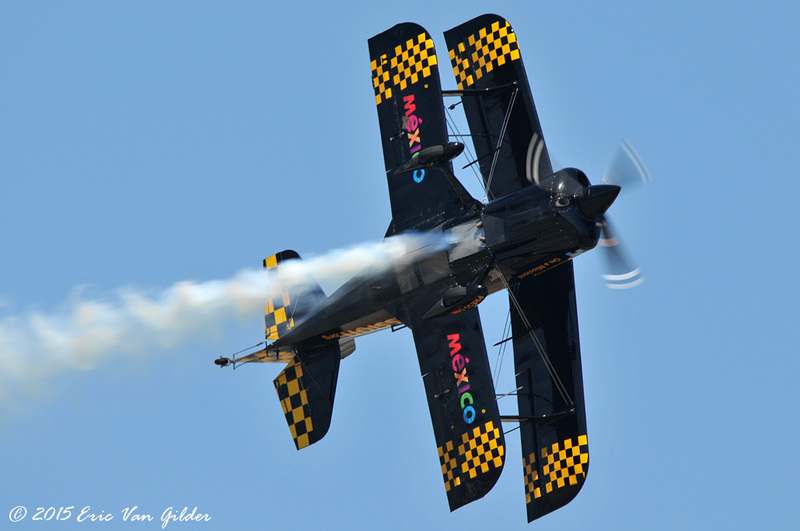 He flies a highly modified Pitts S-1-11B "muscle biplane". 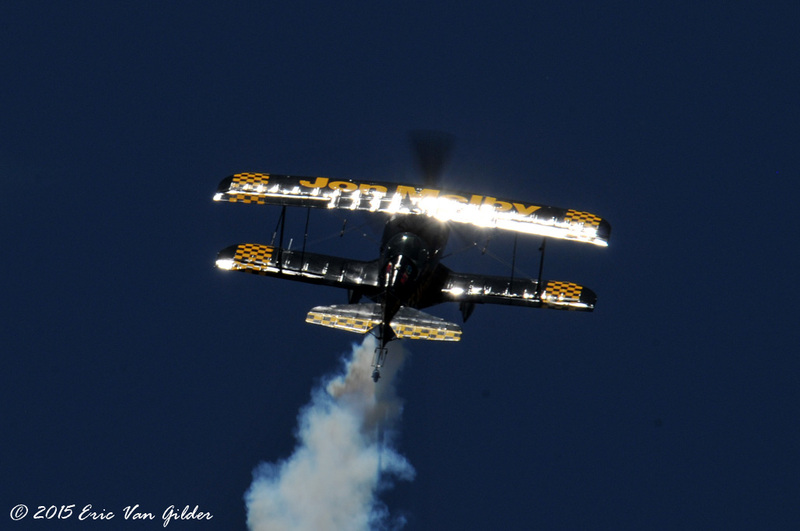 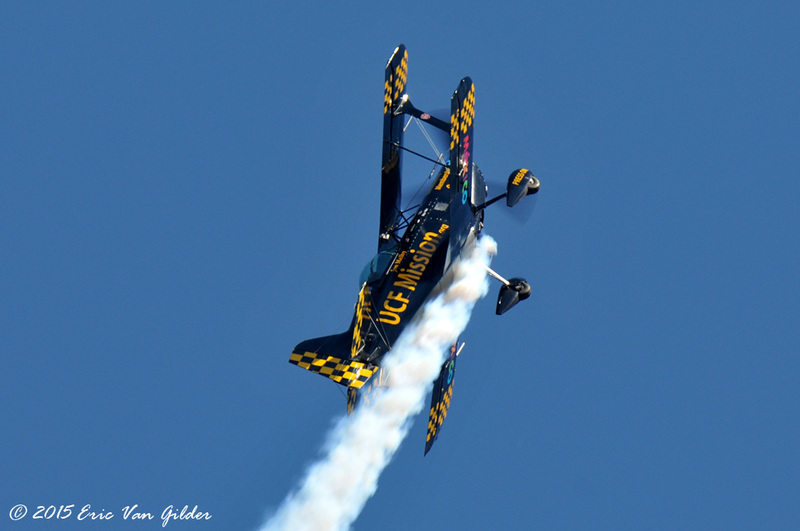 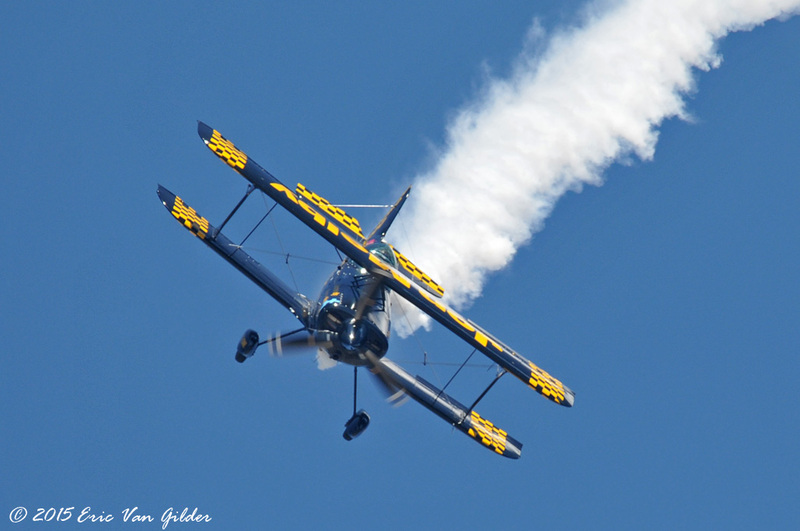 He flies a great show with aggressive aerobatic maneuvers that look effortless. 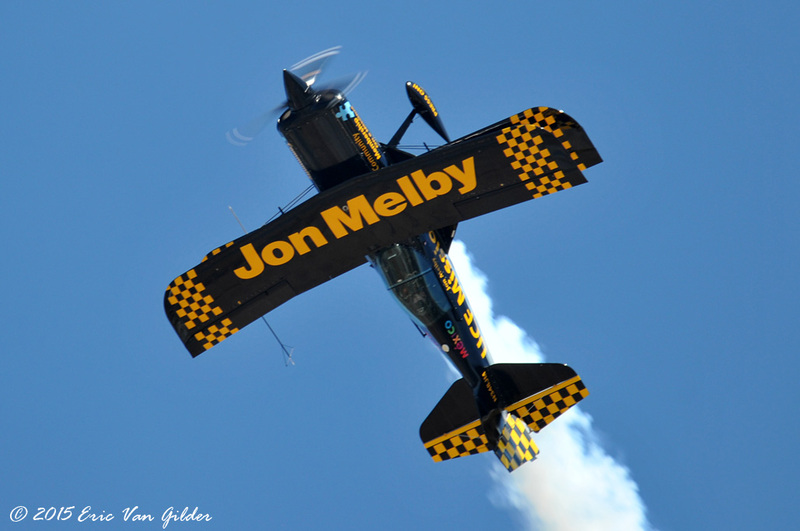 Jon soloed a glider on his 16th birthday and has flown in aerobatics competitions.